D for Dog is about providing practical, convenient and effective dog training solutions for busy Silicon Valley professionals and families. We offer day school, board & train, private training, behavior consultations, group classes and limited boarding. Our clients want well-behaved companions. We deliver them. 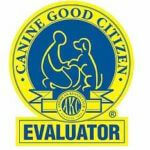 Looking forward to a well-socialized dog you can easily and proudly take anywhere? One that meets and greets dogs and humans politely? Sleeps on her bed while you cook and enjoy dinner with friends? Take our classes or let us do the training for you, and that’s what you’ll get. Kaajal loves puppies and is dedicated to getting new puppy guardians off on the right paw and guiding her students through the adolescent period. Her goal? Transforming each bundle of raw puppy energy into the perfect adult companion. But even more she loves a well-behaved adult dog that knows how to be part of the family. She’s dedicated her training career to helping her clients achieve just that. Though she believes in imparting “Life Skills” to dogs to make them good community ambassadors, she feels a special connection with dogs that are fearful, anxious, nervous, believe that the world is “unsafe” and hence resort to aggression to communicate. 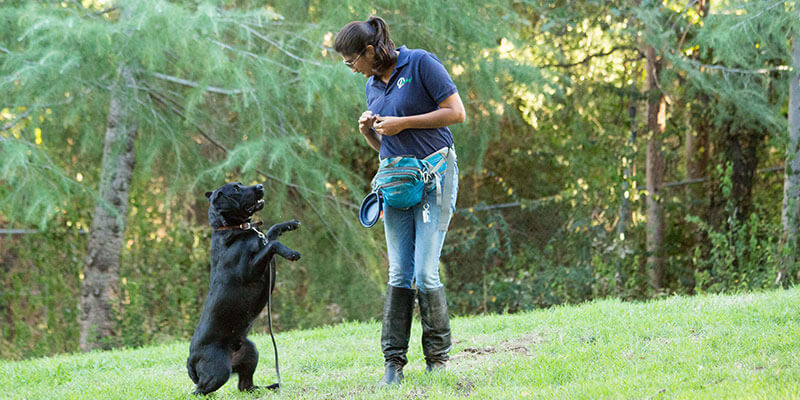 Kaajal is a big believer in continuing education and frequently attends workshops, conferences and seminars to hone her knowledge and skill set to bring the latest scientific understanding of dog behavior and training to her work. Committed to providing the most effective, convenient solutions to her clients’ dog training needs, she uses Scientific Reward Based training methods and believes in a Relationship Centered Approach to work with puppies/dogs, setting them up for a lifetime of good behavior for their people. When not helping clients to enjoy easier lives with their canine companions, she does Holistic Consultations. She is a certified Reiki Master and Numerologist. But became a professional dog trainer to pursue her passion and true life calling: to help pets and their people live better lives together. Diesel, (my soul dog and the sole inspiration behind D For Dog) is a 7.5-year old Pit bull. He’s the best teacher and mentor I could ask for. Diesel came to me when he was literally 6 days old. He has come a long way from his fear of the world in general, leash reactivity, sound sensitivity, was a classic “Dog In Need Of Space”. Today he is a better adjusted dog and absolutely loves puppies. He’s helped me raise many Board & Train and Day School puppies, teaching them appropriate dog-dog communication, the concept of sharing, confidence building in different situations, besides social skills. He is a fantastic puppy teacher. Diesel loves Nose Work, Free Style, Playing with me and lots of Snuggle time. Henry is a 7.5 year old Pit bull mix. He is the most amazing working partner, especially with fearful dogs. He’s helped me build confidence in many leash reactive dogs and adult dogs that needed to learn off-leash play skills. He loves Nose Work and enjoys most things in life especially hiking, dissecting squeaky toys like a true terrier. He assisted me in classes for a long time (is now retired) but enjoys helping me work with fearful dogs. Sofia is a graduate from the prestigious Victoria Stilwell Academy. After years of fueling her interest in science based training, she graduated with distinction in 2017. Her first teacher in Animal Behavior is her own Cocker Spaniel, Nacho. He set her on the path to learning all about Scientific Reward Based training and helped her channel this passion into a profession to help dogs live harmoniously with their owners. Outside of establishing her own dog training company, Sofia has a PhD in Computer Science and works as a Software Engineer at Google. She is invested in furthering her knowledge on Animal Behavior and continues to study dog cognition to stay up to date on the latest scientific methods that let us understand and communicate with our dogs, learning how to build a relationship that lasts a life time. Simply put, puppies. We train ‘em. We get you through puppyhood. Solve puppy problems. Explain behavioral mysteries. Set you up for success. We also work with all kinds of dogs and behavior issues, from puppies and basic obedience to solving more serious behavior problems. If your dog pulls hard enough to send you to the chiropractor, or lunges and growls at every dog he sees or barks at every human he meets or guards resources, we can help. Call us on 650 538 3011 or email info@dfordogtraining.com. YOUR peace of mind is JUST one phone call or email away.